We’re not usually about current events, but when news comes along that touches on things we’ve posted about, we’ll note it here. The Free Lance-Star of October 28 has news about Sherwood Forest in Stafford County. 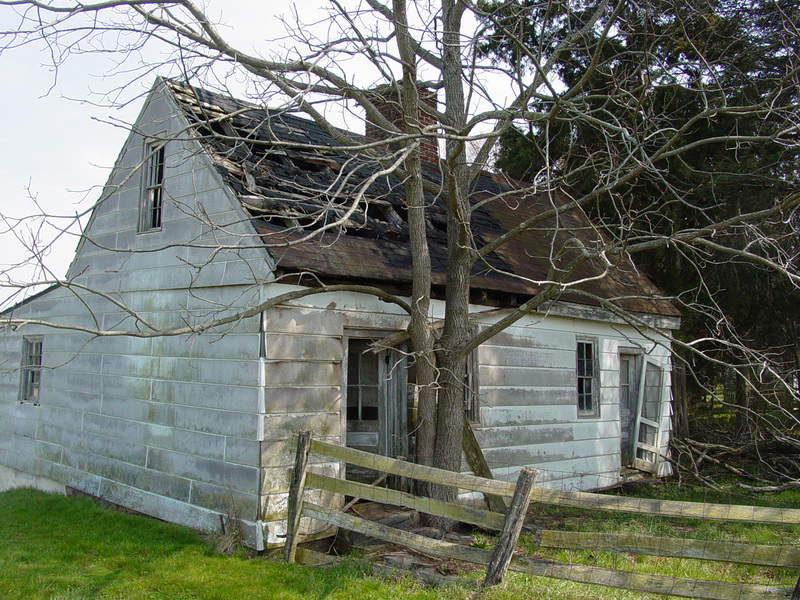 A while back we did a post on the crumbling slave cabin at Sherwood, which you might note is not within the protected historic area. You can read about it here. Also, the Civil War Preservation Trust has contracted to buy perhaps the most important parcel within the NPS boundary at the Wilderness–the land that constitutes the eastern edge of Saunders Field. We have written about Saunders Field a couple of times, here and here. 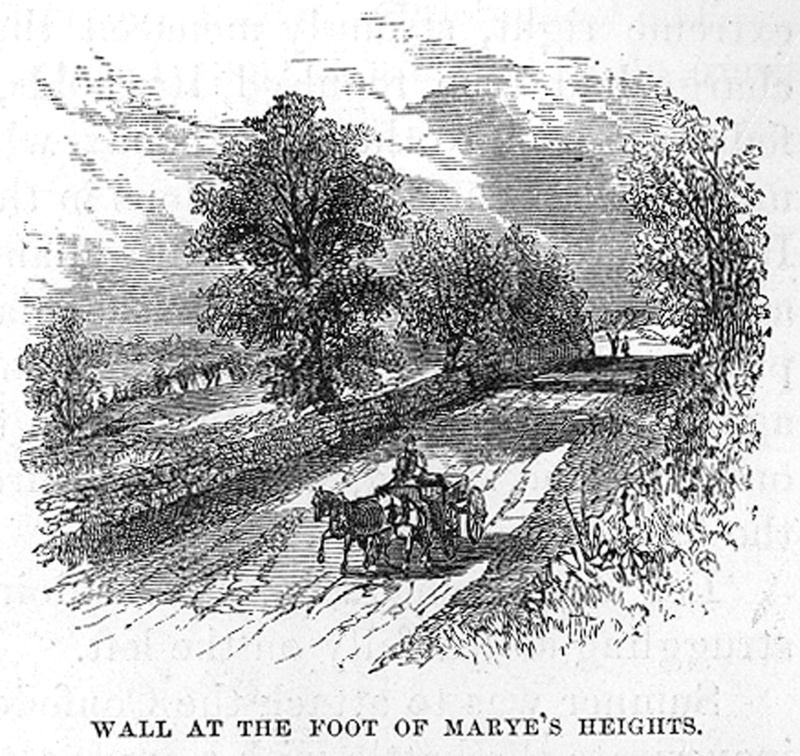 The Sunken Road at about the time of the Episcopal visit in 1868; note the camp for the burial parties at left. The year was 1868. The collection of the bodies of Union soldiers from the battlefields around Fredericksburg, and the burials of those soldiers in the Fredericksburg National Cemetery, was ongoing. 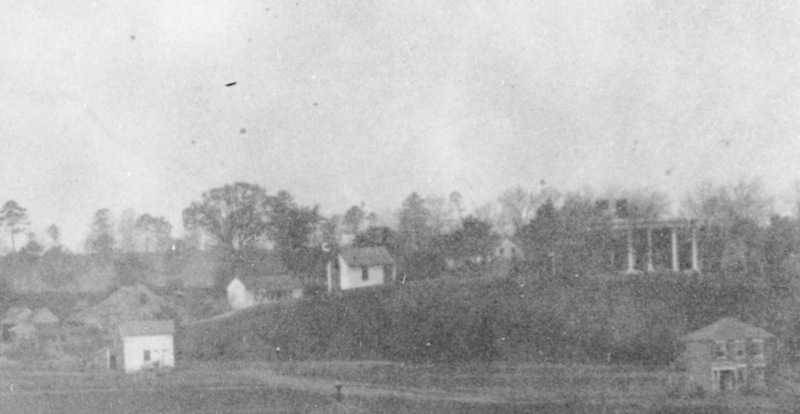 Likewise, the Ladies Memorial Association of Fredericksburg was tilting along full speed ensuring Confederate dead were gathered from the fields and reinterred in the Confederate Cemetery at the end of Amelia Street. 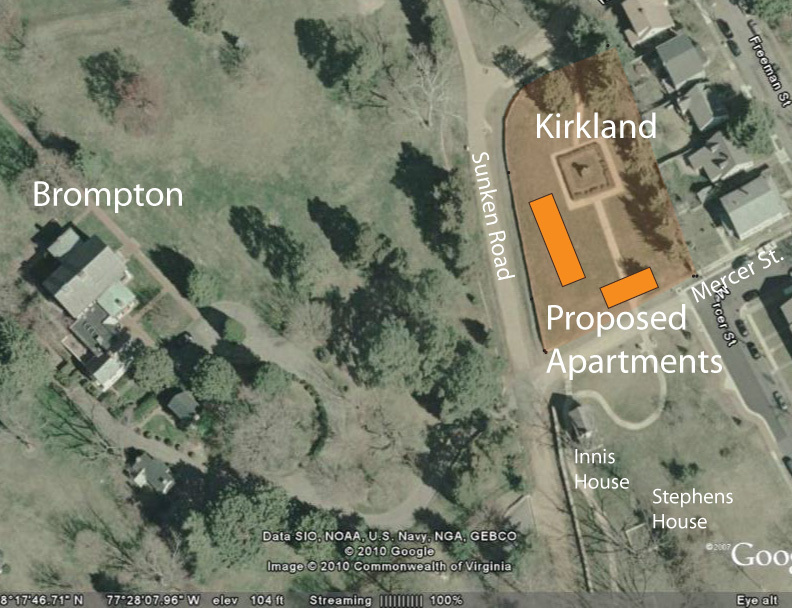 The fresh dirt of newly disinterred graves pocked the landscape around Fredericksburg. Yet, in August 1868, the aspiring congregation of Emmanuel Episcopal Church in what is today Anacostia (for a time called Uniontown) conceived what was then surely a novel fundraising scheme: mount a field trip to the battlefields around Fredericksburg. The destination was apparently inspired by some former Fredericksburg residents in the congregation. 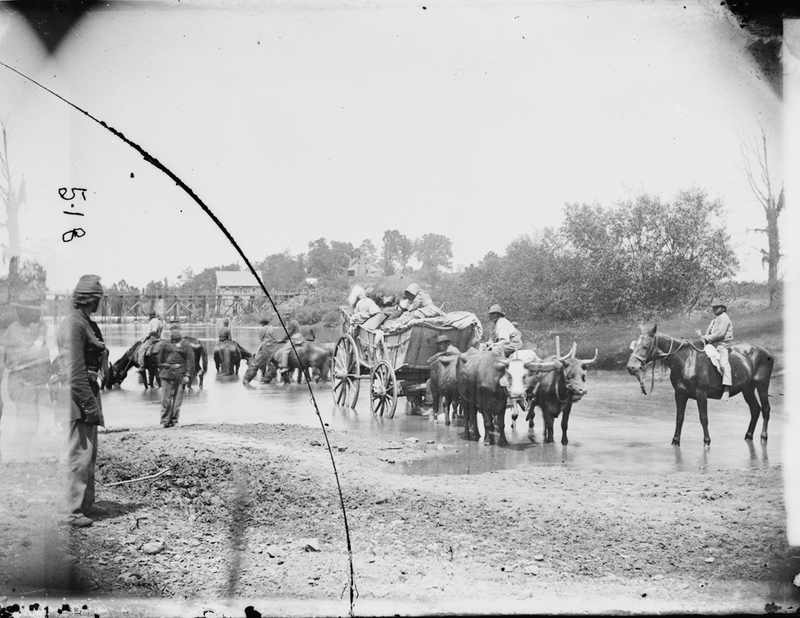 The image is part of a remarkable series of at least seven taken by photographer Timothy O’Sullivan on a frantic day for the Union army: August 19, 1862. That day, John Pope’s Army of Virginia was in full retreat, falling back from the Rapidan River through Culpeper County (on the left of this image) to a new line behind the Rappahannock River, in Fauquier County (to the right). 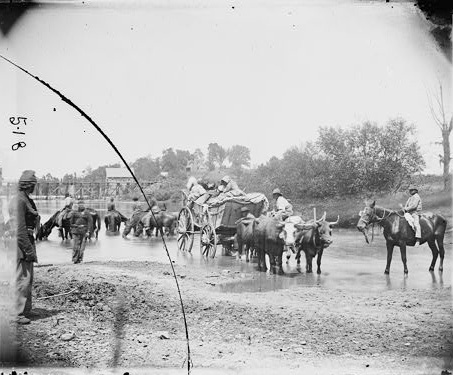 The movement was rapid and large–55,000 or more men heading to the crossings of the Rappahannock River. 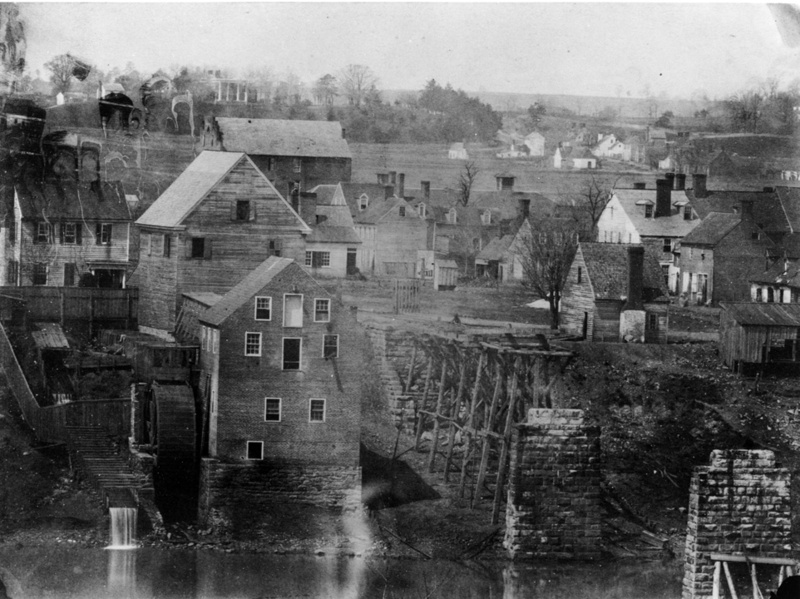 The biggest and best of those was the bridge of the Orange and Alexandria Railroad across the Rappahannock at modern Remington (then Rappahannock Station). This picture was taken a few hundred yards downstream from that bridge, at a rarely used crossing called Cow Ford. The site is about 30 miles above Fredericksburg. 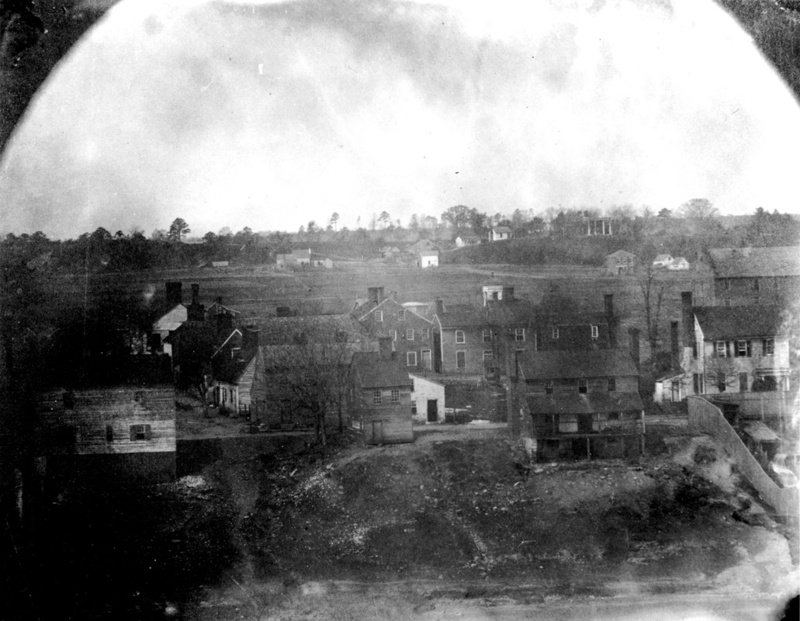 We know that at Fredericksburg, when the Union army abandoned the place twelve days after this image was taken, slaves saw the Yankees’ departure as their last chance for freedom, and flooded north with the Union army. This image suggests that something similar happened when the Federal army left Culpeper County on August 19, though I have no sense that the exodus on August 19 was anything close the scale of that at Fredericksburg. Still, this is an image that apparently captures a hugely significant act in progress: slaves emancipating themselves. 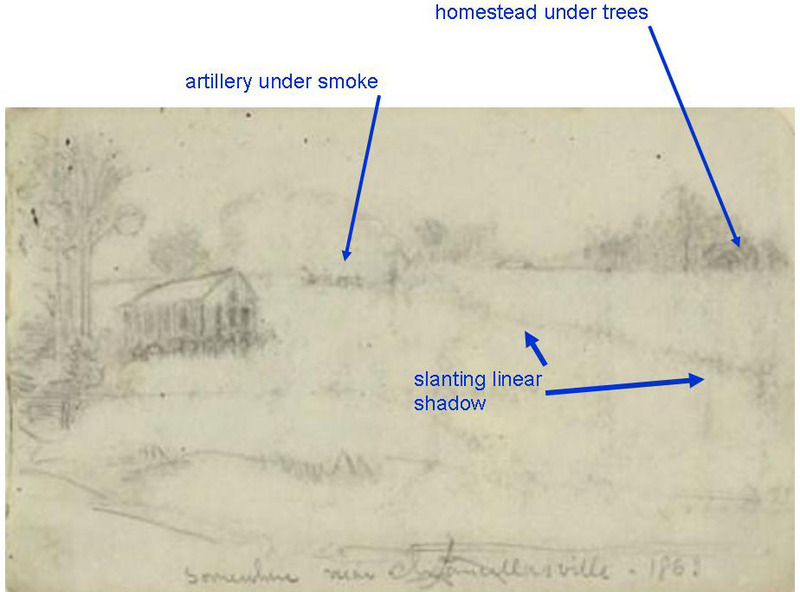 Is this a Lost Panorama of Chancellorsville…Now Reassembled?